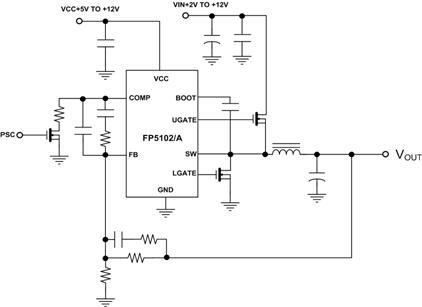 The FP5102/A is a DC-DC synchronous buck converter controller IC. It comprises high, low side NMOS gate drivers, boot diode, internal soft start, and over current protection circuit. With +2V to +12V VIN supply voltage, it is suitable for a wide range of applications.